University of Florida (UF) researchers are studying a pest that is a concern for a crop currently expanding in north Florida. 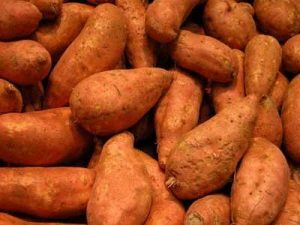 Wireworm has been causing problems for sweet potato growers in the state, said Norm Leppla, professor of entomology and program director of integrated pest management at UF. Researchers, such as Leppla, are examining how wireworm affects sweet potato crops and what management practices work best to solve these issues for growers. The wireworm essentially drills holes into sweet potatoes, Leppla said. This causes issues for growers in their ability to market the crop. Different species of this pest affect many sweet potato crops in the Southeast. Wireworm has been a recurring problem for sweet potato growers in Florida, as well as other states such as Georgia and North Carolina. Leppla said the most common technique for managing wireworm currently is a combination of insecticides and crop rotation. Many growers are dissatisfied with dependence on crop rotation, however, because it means taking one year to plant a crop that does not host the wireworm. Crop rotation allows a plant that is not a host of wireworm to grow, killing the pests in the field. At UF’s North Florida Research and Education Center-Suwannee Valley (NFREC-SV) in Live Oak, Leppla said a research project has been developed under the direction of Bob Hochmuth to see if wireworms can be managed with a combination of insecticides and nematodes. Leppla said that while the results of these tests at NFREC-SV have looked very promising to provide new management solutions for growers, it will still take some time to allow growers to implement these strategies. Researchers have to ensure these new management strategies will not have unacceptable side effects for the growers before they can recommend them. Leppla said it is important to “implement an integrated pest management plan that minimizes cost and side effects” for growers.